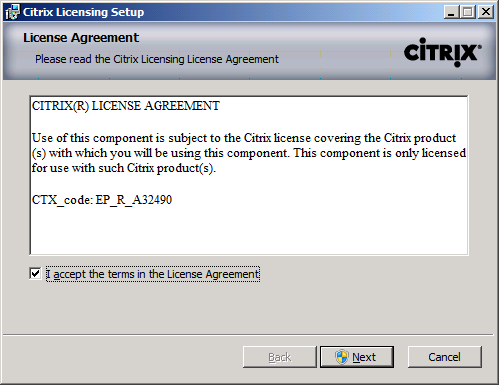 Mark “I accept the terms in the License Agreement” and press the “Next” button. 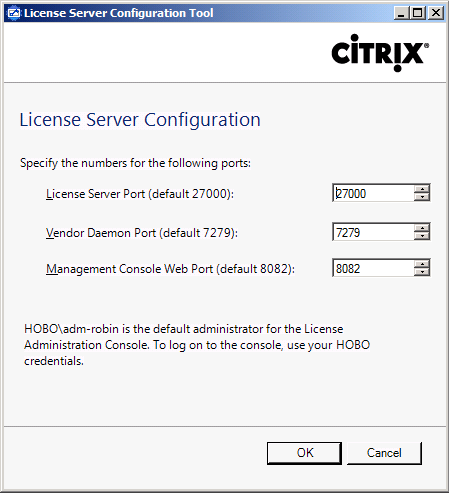 As I mentioned earlier, this new Citrix Licensing Server have the new feature to add users and groups to the Administrator Console. 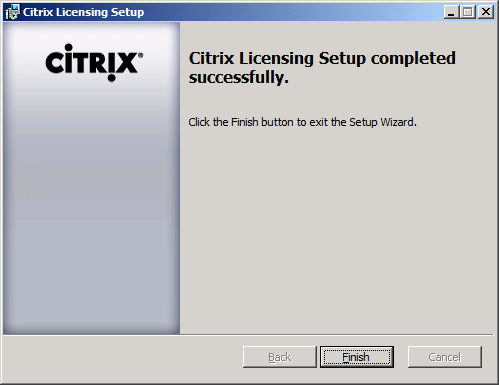 So for the configuration of the License Server I created an Active Directory group called “DEL-CitrixLicensing Admins” which i’m going to delegate administrator rights. 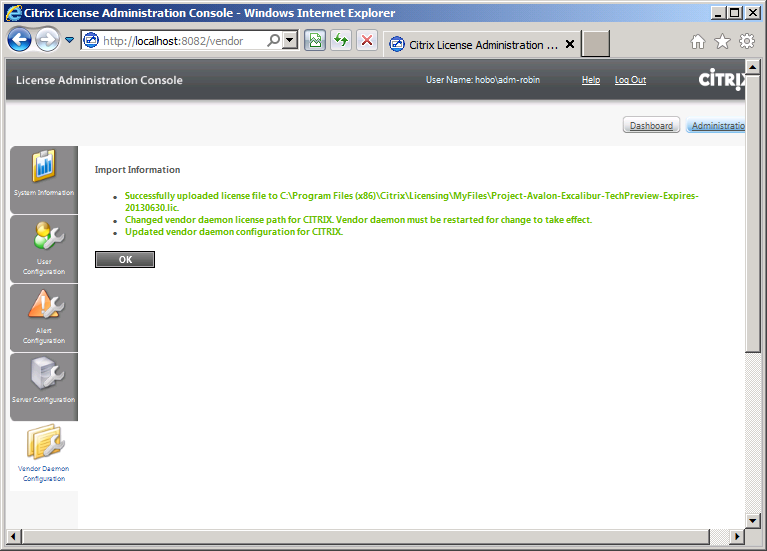 For the configuration, open the “Licensing Administration Console”. 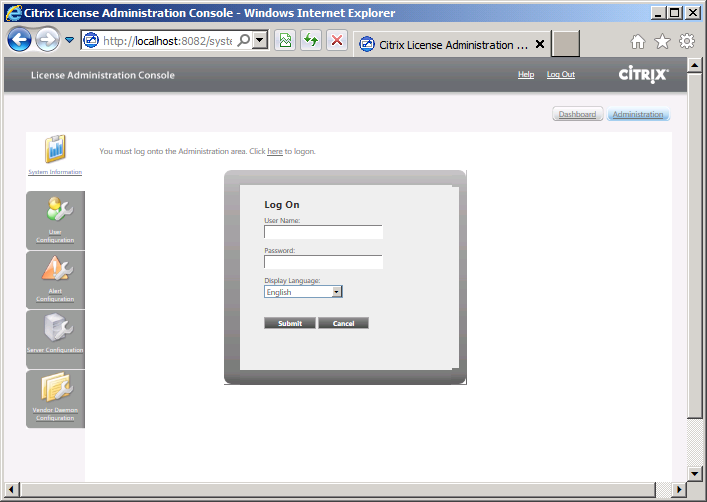 Go to Administration (top right) to log on with the account you used during installation. 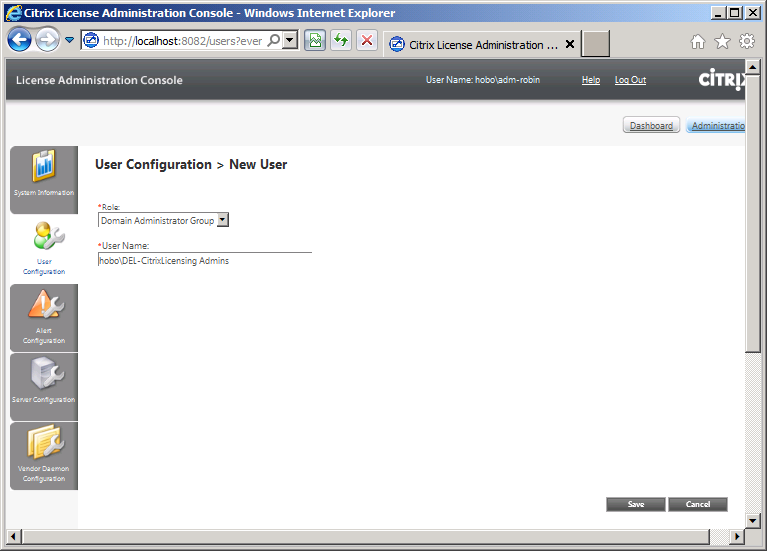 Go to “User Configuration” and press the “New User” button. 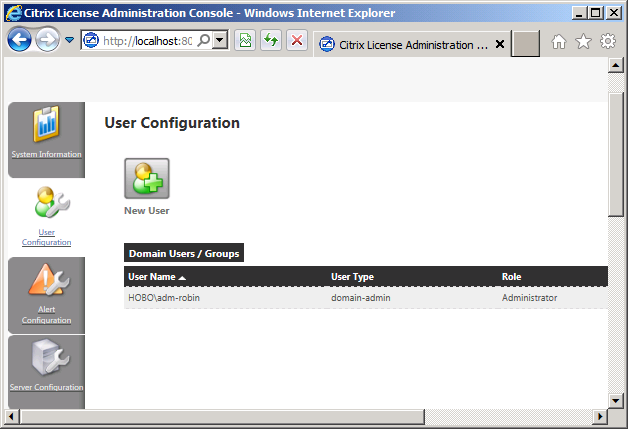 Select “Domain Administrator Group” and fill in the respective user or group by “User Name” (don’t forget to mention the domain name!) then click Save. 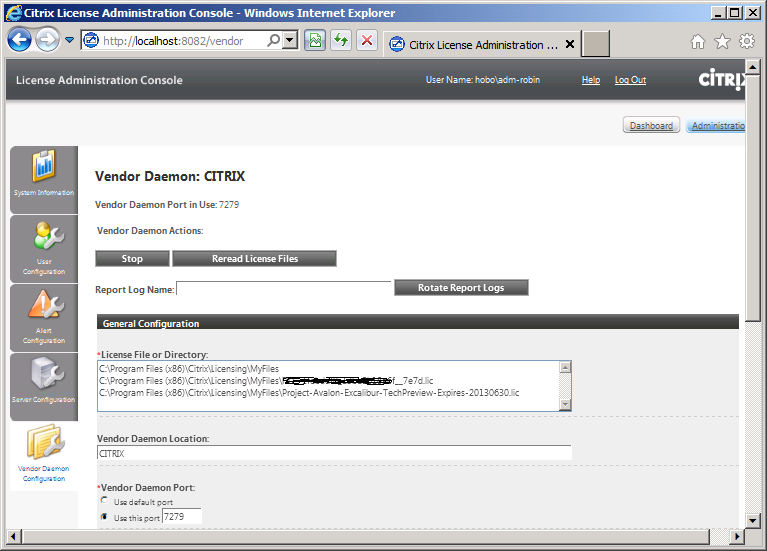 To importing the license file(s), go to the “Vendor Daemon Configuration” and click on the “Import License” button. 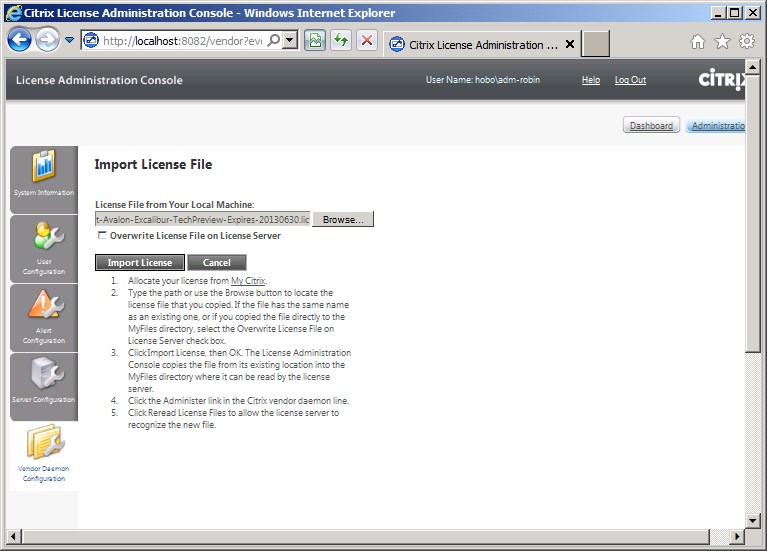 Browse to your license file and click on the “Import License” button. 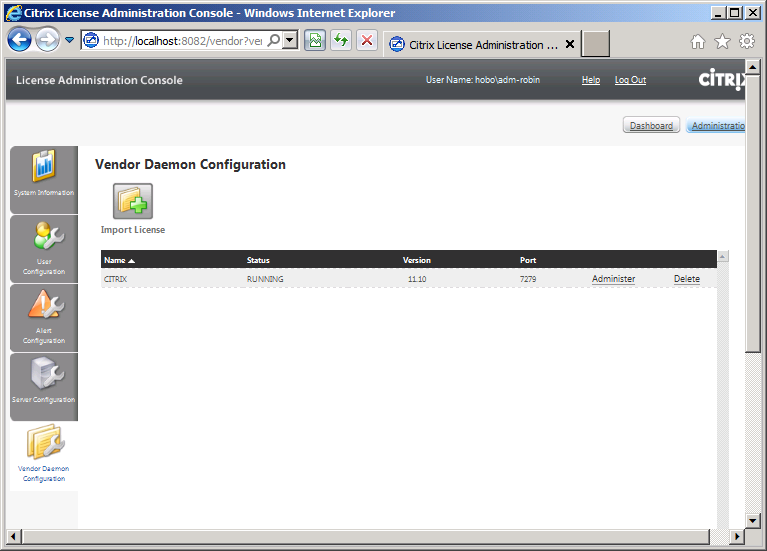 The Citrix license server must reread the license before they are active, therefore go to the “Vendor Daemon Configuration” and press the “Administer” button. 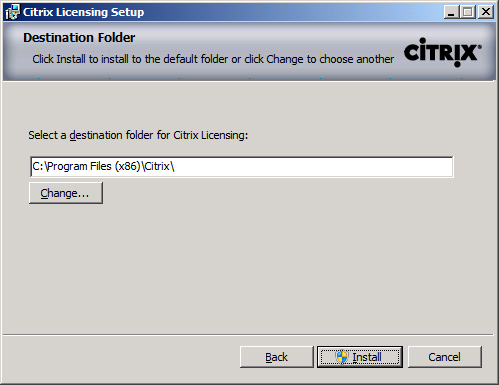 Click on the “Reread License Files” button. 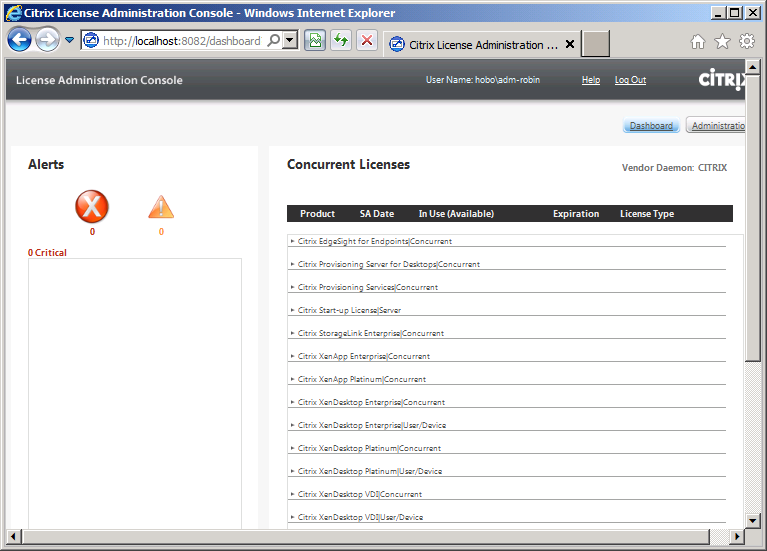 Go the “Dashboard” (top right) to see your current licenses.